Today’s picture features a couple of icons of the early 1900’s . 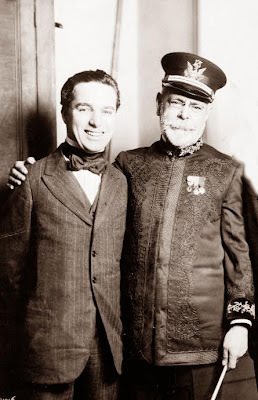 . . band leader John Philip Sousa and silent film star Charlie Chaplin. I was surprised to see the two of them in the same photograph. The picture was taken in 1916.